At The Fountains at Greenbriar, we’re getting all fired up for this year’s Annual Blaze-Off and Senior-Q! If you think this summer is sizzling, then you won’t want to miss the smokin’ hot flavors and fall fun on October 18th and 19th. The Fountains, an independent living retirement community, has hosted this bbq competition for the past 10 years in observance of Senior-Q Month. As with previous years, the feel-good food and conversation between generations promises to be a delight for bbq folks and residents alike. Friday night features a dessert competition and happy hour. Enjoy a beverage or two while swapping stories with our residents at the happy hour. During this time, team members can purchase raffle tickets for a large-screen TV and/or a quilt, made by one of our Greenbriar residents. 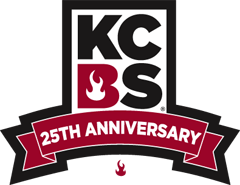 On Saturday, teams will turn their prize meats in starting at noon for judging by members of the KCBS. The winners will be announced at 3:30 p.m. that day. Then it’s on to the gut-busting (and some say best!) part of this unique competition. We’re serving up your savory meats with sides, dessert, and drinks from 4 to 6 p.m.